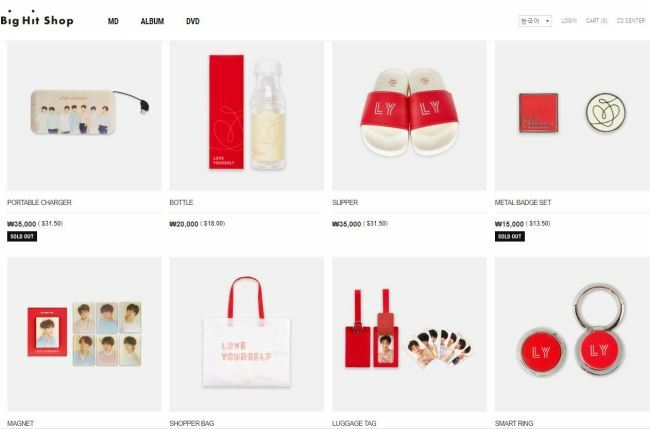 Big Hit Shop dominated local search engines Monday, when it started selling merchandise for BTS’ latest world tour. 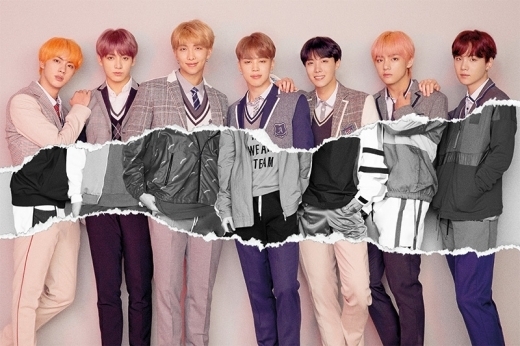 The merchandise shop run by BTS’ agency, Big Hit Entertainment, posted an announcement on its homepage Sunday, indicating that official merchandise for the “Love Yourself” tour would be available at the shop starting Oct. 1. For premium photos, key rings, magnets, picture scrolls and image pickets, the announcement said, sales would be limited to one product per person. For other merchandise, sales would be limited to three products per person per category. As of 3 p.m. Monday, most of the merchandise was already sold out, much to the disappointment of fans.